The Rebels have endured a tricky five-week break since their last championship game. ONE OF THE idiosyncrasies of the All-Ireland SHC is the five-week break the Munster and Leinster champions face until they enter the last four of the competition. Munster winners have found it particularly difficult to translate their provincial success to the All-Ireland stage. Of the 10 Munster champions between 2007 and ’16, only three sides won the All-Ireland semi-final that followed – Tipperary in ’09, ’11 and last year. Just two teams in the last 12 years – Cork in ’05 and Tipperary in ’16 – have lifted both the Munster and All-Ireland titles in the same year. In Leinster, things have worked out a little bit differently. Kilkenny have long been the masters at overcoming the lengthy break, but Galway have managed to make it to the All-Ireland final after their two most recent provincial successes, in ’12 and ’17. On Sunday, Galway boss Micheal Donoghue spoke about the importance an in-house game they played during a training camp in Fota Island on the day of the quarter-finals. On the evidence of their impressive showing against Tipperary, which was their 10th competitive win in-a-row, that training encounter hit the required intensity. 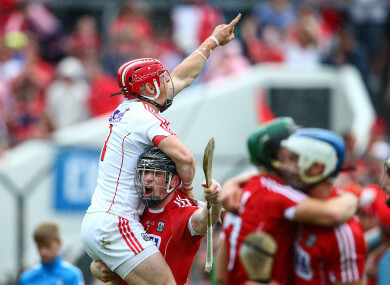 This weekend we’ll find out how Cork have dealt with the break since their Munster final win over Clare. After the Clare game, the Cork players went back to their clubs for a week of local championship. The following week, the younger members of their panel were fully focused on the Munster U21 decider against Limerick, which they lost. That gave the Rebels a three-week run-in to their rematch against Waterford. Nash believes Cork have learned lessons from 2014, when they lifted the Munster crown but suffered a 10-point beating by Tipperary in the All-Ireland semi-final. “We had a big break that time and we didn’t play a lot of club championship, so we changed that a little bit. Whether it’s right or wrong, I don’t know. As a team we’re somewhere we probably weren’t expected to be. Email “Anthony Nash and Cork hopeful they've solved the riddle of the five-week gap”. Feedback on “Anthony Nash and Cork hopeful they've solved the riddle of the five-week gap”.